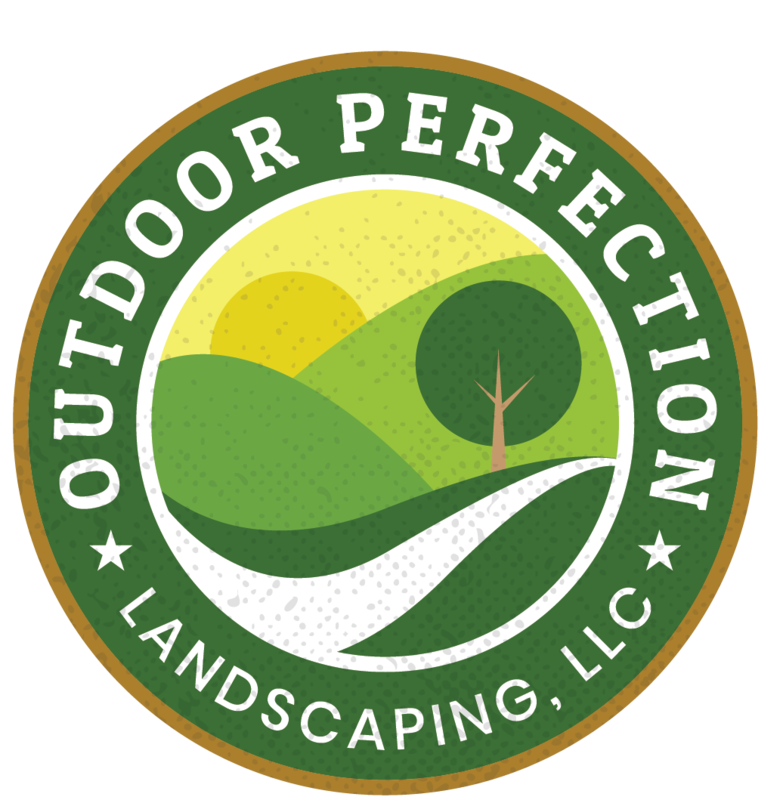 Established in 2000, Outdoor Perfection provides full landscape design and landscaping services for both residential and commercial clients in Houston and surrounding areas. 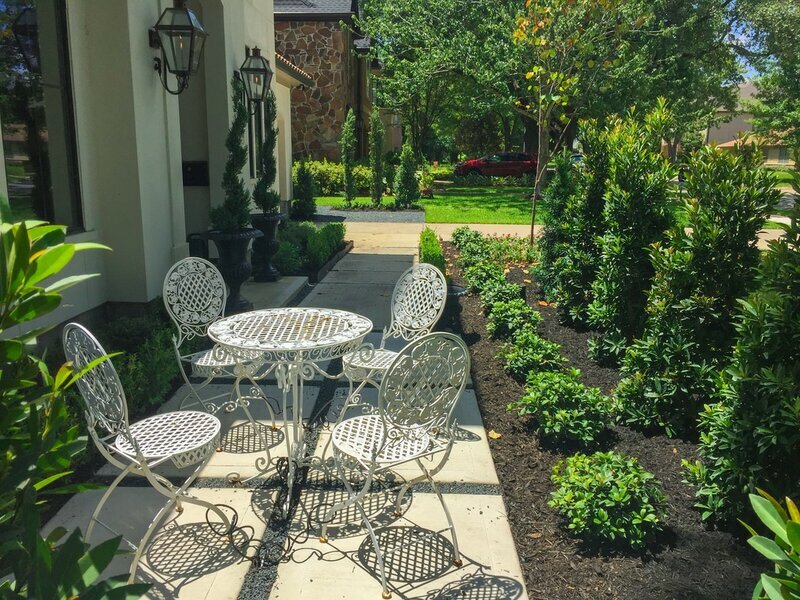 We can provide a turn key outdoor experience that is nothing short of perfection! 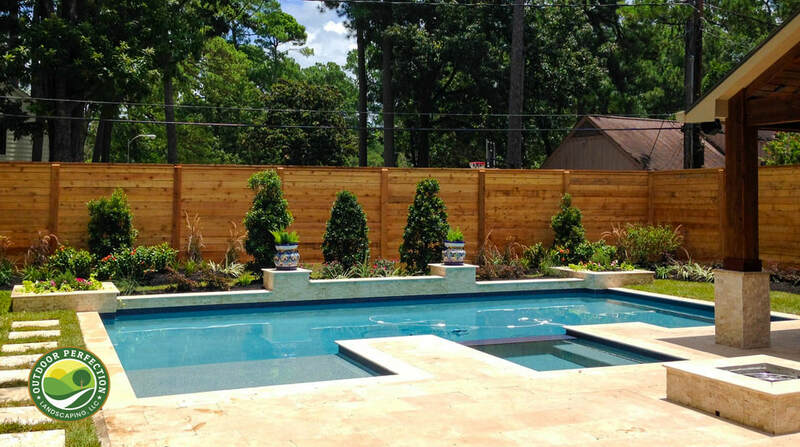 We offer both routine and custom outdoor services from custom pool landscaping, patios, garden design, landscape lighting, paving, privacy trees and bushes and much more! Serving homes and businesses in the greater Houston area including Spring, The Woodlands, Katy, Memorial, Kingwood, Sugarland, River Oaks and more... We take pride in our work from design to installation and believe that the results speak for themselves! Give us a call at 281-516-1600 to set up your free consultation today! 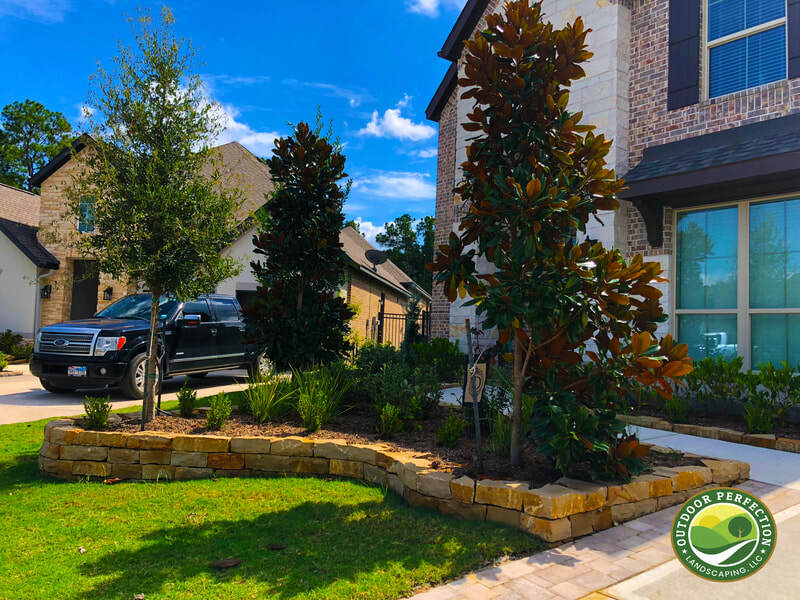 Complete Landscaping Design Services in the Houston Area! Shade is a necessity in Texas! We build custom Pergola & Arbors. 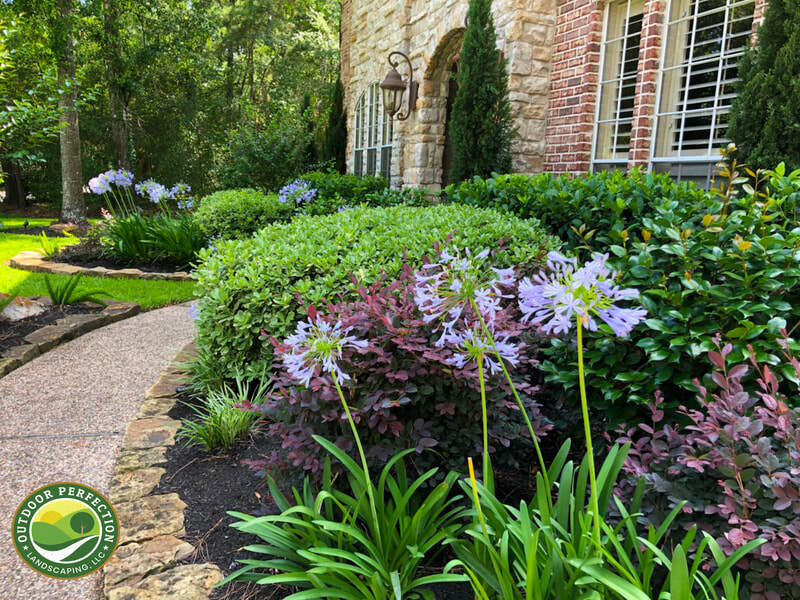 Complete your front or backyard landscaping with a beautiful Flagstone path. The difference is in the design! 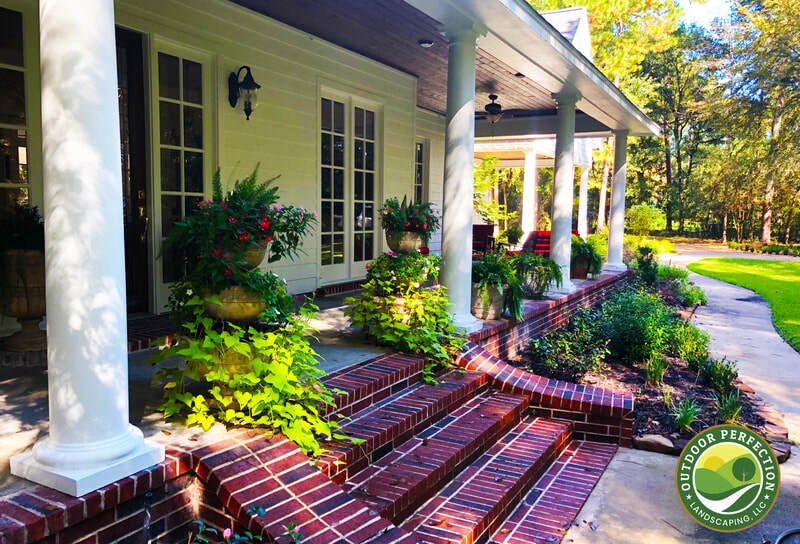 From waterfalls to paving we can do it all! 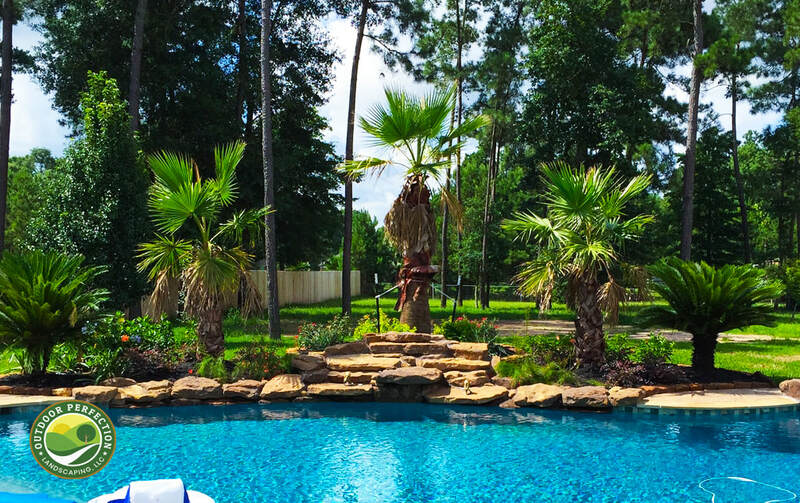 Pool Landscaping or Rock Gardens. Decorative Rock adds the WOW factor! We offer a number of paving services including travertine, concrete and stone.